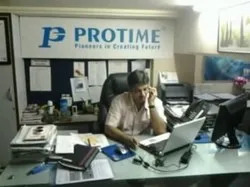 Established in the year 1995, Protech Engineering & Controls Private Limited is one of the distinguished manufacturers and exporters of an extensive range of electrical and electronic products. 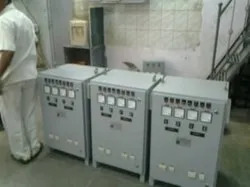 These cover Earth Leakage Relays, Earth leakage monitors, Earth Monitoring Relays, Current & Earth Fault Relays, Voltage & Frequency Relays, IDMT Relays, Diesel Engine Controllers & Protections, Battery Chargers & Rectifiers, Voltage Stabilizers and Other Products. Our range is used in different power control and time control applications and is appreciated for compact design and low power consumption. 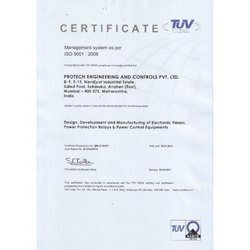 In the year 1995, we initiated our business under the name of Protech Engineering but on April 1st, 2001, we changed that name into Protech Engineering & Controls Pvt. Ltd. Our latest technological development has enabled us to design and develop electrical supplies as per the specific requirements of our clients. 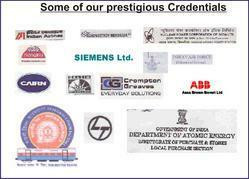 Owing to our well managed quality assurance program, we have successfully carved a niche amidst other market player of the industry. As research and development is our forte therefore we have invested considerable amount of money and resources to innovate power controlling electronic products in accordance with current market trends. We are led by founder of the company Mr. Nipul, whose sharp business acumen and in-depth knowledge has helped us to build an indelible position in the international market. Further, our ethical business practices and on time delivery of products has enabled us to garner a vast clientele across the globe. Team is an innate strength of the organization that plays a vital role in meeting the in-hand production demands. We have highly competent and hardworking professionals who are highly knowledgeable and dedicated towards organizational objective. The success of any organization is entirely depends on the competence, potential & experience of the team members. Thus, we have appointed some of the best professionals in our company who work with the sole objective to achieve clients trust. Our entire production process is carefully supervised by our electrical & electronic engineers to ensure flawless products. We have R & D personnel who keep themselves engaged in research activities to introduce advanced production technology and novel products. Our quality controllers rigidly monitor the entire process to maintain total quality in our product range. We are a client centric organization and are committed to offer quality products to our coveted clients. The growing requirements of our customers have encouraged us to manufacture quality range of electrical and electronic products for various power control and time control applications. To ensure complete client satisfaction, we export our products within specified time frame. Our client centric approach and ethical business dealings has helped us in wining the loyalty of numerous clients belongs to government, state government, corporations, industrial, military organizations, institutions and other sectors. Moreover, for hassle free monetary transaction, we provide easy payment options to our valued clients.